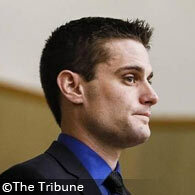 Former officer Alex Geiger, 25, faces felonies after his "personal" police-trained K-9 killed a man. UPDATE 07/20/17: On Wednesday, Superior Court Judge Hugh Mullin III ruled the criminal case against a former Grover Beach police officer will move forward. On December 13, Alex Geiger's attack-trained police K-9, which he kept as a "personal" pet after leaving the Exeter K-9 unit in August, escaped his property and mauled two people, killing one. Geiger faces two felonies for failing to maintain control of a dangerous dog and one felony count of involuntary manslaughter. Despite Geiger's defense raising a number of protocol breaches by Sgt. Juan Leon -- Geiger's supervisor and the first officer on the scene of the attack -- Judge Mullin determined there was enough evidence to proceed to trial. David Fear, 64, died from complications of blood loss due to his bite injuries three days after the attack. 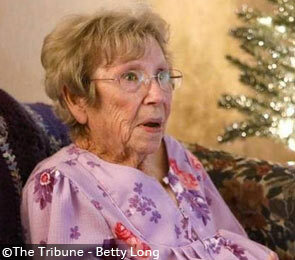 Betty Long, 86, suffered bite injuries and broken bones from falling. She was released from a rehabilitation center in March and continues to recover. Wednesday's proceedings, along with Judge Mullin's ruling, focused on "retired" police dogs and the absence of "standard procedures" to follow for officers and other owners of these dogs. Mullin stated, "Maybe police departments should do something about it." This spells out our main interest in this case. Geiger had to sign a waiver with the city of Exeter when he purchased this dog, removing the city of any liability if it ever attacked someone under his "private" ownership. Cities protect their wallets when releasing K-9s to "private" ownership and good luck obtaining homeowner's insurance for one of these dogs. Geiger's Belgian malinois, Neo, was hardly retired in the traditional sense. The police-trained K-9 was only 2.5 years old. One month before the fatal attack, Geiger had unsuccessfully lobbied Grover Breach to start a K-9 program. Four months earlier, Neo had been active duty with Geiger in the Exeter K-9 unit, which is why Geiger had to pay over $5,000 dollars for the dog -- it still had some years left. Older, traditionally "retired" police K-9s are usually gifted to their handlers for $1. Exeter acquired Neo in September 2015 when it was 1.5 years old. By December it was dual-certified in narcotics detection and patrol work. Since 2014, our nonprofit has been tracking severe maulings of "innocents" by police K-9s -- bystanders and unintended victims. The murky sources of these dogs often have a shared feature, described in vague terms like, an "eastern block import." However, what Brock describes is cloak-and-dagger-esque. The market is so lucrative for protection bred police and military dogs it's hardly surprising that private US-based middlemen have created a secondary, cheaper market. The last portion of The Tribune's report highlights how Geiger's defense used the the Grover Beach Police Department's questionable treatment of the investigation and missing evidence to help their client. Geiger was employed by this department when his "retired" K-9 attacked Fear and Long. Geiger remained on paid administrative leave until February 1 when he resigned, a step clearly prompted by the February 2 announcement of two felony charges filed against him. 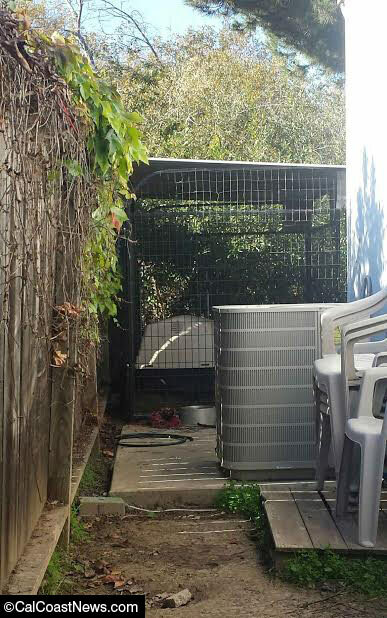 Police vacated the investigation, dumping it into the hands of San Luis Obisco County Animal Services, then "stalled" in handing over evidence. If one eliminates the troubling police "favors" in this case -- failure to collect and preserve certain evidence, turning off a body cam early, quickly euthanizing and cremating the dog without an examination first and more -- the criminal charges filed against Geiger, and his fulfillment of them, are straight forward in California. So let's revisit them. Geiger is charged with two counts of failing to maintain control of a dangerous animal and one felony count of involuntary manslaughter. (b) Involuntary -- in the commission of an unlawful act, not amounting to a felony; or in the commission of a lawful act which might produce death, in an unlawful manner, or without due caution and circumspection. KSBY has some video coverage of day two of the preliminary hearing as does KCOY/KEYT. During the first day of the preliminary hearing for Alex Geiger, Betty Long took the stand along with two police K-9 trainers and Grover Beach police Sgt. Juan Leon, Geiger's supervisor and the first officer on the scene of the attack, reports the The Tribune. Geiger, who was also on duty, arrived at the scene a minute later, Leon said. He informed Leon that both dogs belonged to him. Despite the dogs being part of the crime scene, Leon allowed Geiger to take them to his home alone. The protocol breaches get worse. The Tribune reports, "Leon said he did not collect or preserve several pieces of evidence, including his own bloody uniform, nor an air rifle and unspecified 'gardening tool' found in Fear’s driveway near the attack site. Blood samples from Geiger’s hands weren’t collected, either." Leon also testified that his in-car recording device was not functioning and that he turned off his body camera at some point when he began talking to the police chief. 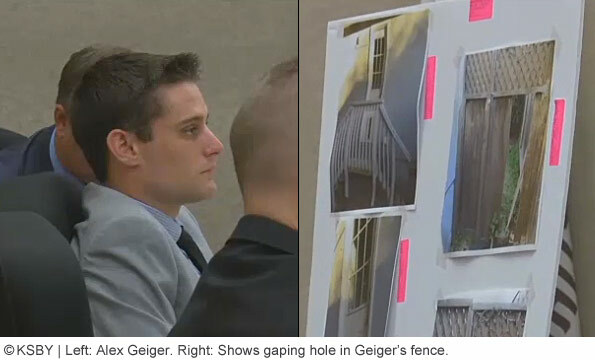 Leon did not closely examine Geiger's 6-foot high wooden fence with broken boards at the base, nor did he look into Geiger's backyard before handing the investigation over to county animal services. Geiger kept both dogs in his fenced backyard, where he also has a tall 5-sided kennel, but he did not secure either dog inside of it that day. While he was a K-9 officer at Exeter, Geiger was trained to keep K-9s locked in a kennel unless under the direct supervision of their handler. Finally, Geiger's defense raised the possibility this his attack-trained Belgian malinios mauled Betty Long and brutally killed David Fear -- after the dog chewed through Geiger's wooden fence -- because Fear may have wielded the air rifle or gardening tool as a weapon. Long said Fear tried to fight off the dogs, but there was "no way" Fear used a weapon. Conveniently, Sgt. Leon never collected or preserved these pieces of evidence, the same way he treated his own bloody uniform. KSBY has some video coverage of day one of the preliminary hearing as does KCOY/KEYT. Grover Beach, CA - The preliminary hearing of former Grover Beach police officer Alex Geiger resumes today in a San Luis Obispo County court. Geiger faces multiple felonies after his two dogs escaped his property on December 13 and mauled two residents, killing one. The primary culprit was an attack-trained police K-9 that Geiger kept as a "personal" pet. Geiger purchased the dog from the city of Exeter where he had worked just four months earlier as a police K-9 officer. Prosecutors initially charged Geiger with two felonies for failing to maintain control of a dangerous animal in connection to the death of David Fear, 64, and serious bodily injury to Betty Long, 86. In June, prosecutors added a third felony charge against Geiger, involuntary manslaughter, which offers prosecutors more choices as the case moves into the preliminary hearing. Despite the new charge, Geiger still only faces a maximum sentence of about four years in prison if convicted. Geiger is being charged because he had full knowledge that his police-trained K-9 was dangerous and he failed to properly contain the dog. Leading up the preliminary hearing, The Tribune reports that on the day of the deadly attack, Geiger's dogs had escaped his property earlier and chased a mailman. The information came to light a week ago after Geiger's attorney, Visalia-based John Jackson, filed court documents seeking to dismiss the involuntary manslaughter charge. Jackson included in the filing reports from police and animal control officers who interviewed Geiger, Long, neighbors and other witnesses. Geiger told Animal Services Director Eric Anderson that on the morning of December 13 his roommate told him that one of the boards in the fence had come loose. Geiger said he returned home and resecured it. At noon, the dogs menaced the mailman. 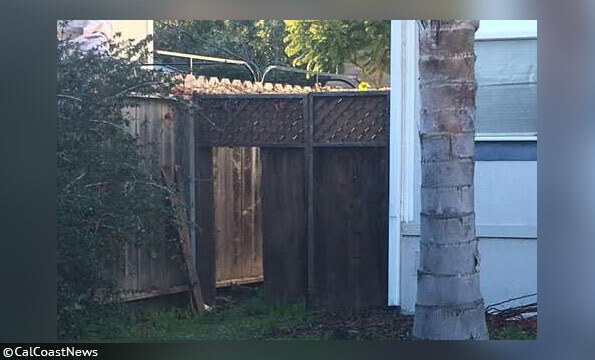 At 1:15 pm, the dogs attacked Fear and Long.2 Geiger's next-door neighbor reported that his dogs "were a problem," and would go "crazy, jumping on the fence," and "seemed to go nuts" every time he went in his backyard. On the day of the attack, the K-9 was not locked in Geiger's backyard secure kennel, as K-9 policy teaches, but loose in his fenced backyard. On December 13, Geiger's Belgian malinios, Neo, a dual-certified police K-9 in detection and patrol work (bite work), escaped his property and attacked Betty Long and her neighbor David Fear who intervened to save her life. 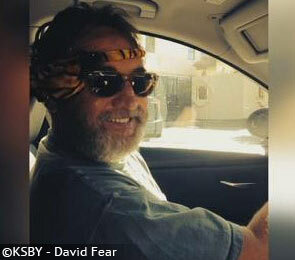 Fear suffered life-threatening injuries, including two arteries in his arms being severed. He died three days later while hospitalized. Long suffered serious bite injuries and broken bones from falling. Long was released from a rehabilitation center in March. In September, Geiger was hired by Grover Beach, which does not have a K-9 unit. For weeks after the attack the city would not release the officer's name or details about the dog's training. 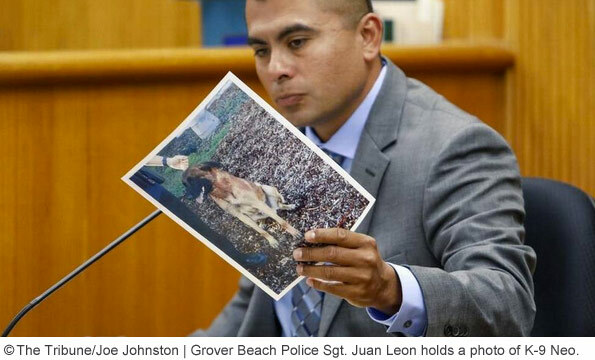 An expose by The Tribune, detailing Geiger's previous employment, showed his dog was a police-trained K-9 and that one month after Geiger began working for the city -- and a month before his dog attacked Fear and Long -- Geiger unsuccessfully lobbied for a K-9 program in Grover Beach. Prior to joining the city of Grover Beach, Geiger had worked at the Exeter Police Department in Tulare County with the last year spent as a K-9 patrol officer with Neo. Six months before Geiger moved to Grover Beach -- taking the dog with him as a "pet" -- Neo had bitten a trainer during a "bite suite exercise." The K-9 was not taken out of service afterward. When Geiger purchased the dog from Exeter for $5,287 in August, he signed a waiver relieving Exeter of any future liability. 1How do you not know a seller's name? If no receipt, the purchase cannot be deducted from the business. Though it is a brief statement by Brock, it strongly suggests no pedigree or proof of lineage either. That's a hard to imagine for Belgian malinios (or German shepherds) slated for bite work and apprehension training. 2It appears Geiger's two dogs escaped more than once from his home on December 13. However, the mailman incident occurred about noon and the attack occurred just over an hour later at 1:15 pm. Whether Geiger's dogs were loose during the whole period should become clear after more testimony and evidence comes to light. Even a child would know that that fence would not contain a dog like this. And Geiger was clearly leaving this dangerous dog alone outside all the time. Having these aggressive dogs is a status symbol for psychopaths. They aren't and will never be pets. And the town that let him take this dog from them and rip off their citizens is to blame too. Lucu Lencia – We had to edit that part. We don't know how many times the dogs escaped on Dec. 13. We had initially thought the mailman menace occurred in the morning. But it actually happened at noon and the fatal attack occurred at 1:15pm. So that question is murky. We found no information in media reports to clear it up either. We also just issued a big update to this post. Thank you Colleen Lynn for following my father's story in such a detailed, accurate manner! Here in Tucson, there was a personal injury case involving a retired K9. The dog attacked a man and he had to have a leg amputated. I seem to recall that the man won his case. Do a search on "repression and dog abuse." You will see that there is long and sordid history associated with the use of K9s. Pure negligence. This deserves 10 years of jail time and at least a half a million dollar fine. EVERYONE whose dog kills someone should go to jail, period. There is just no excuse for the level of gross negligence it takes to get someone killed with your dog. Sarah, I'm SO sorry for your loss. Like pit bulls, trained police dogs are NOT pets they are WEAPONS and should be treated as such. The public DESERVES protection from these animals and their typically low knowledge, incompetent owners. Do we have to wait until a Congressman or his/ her kid gets mauled before something is done?